Who do you like in today’s fights? Whoever it is you fancy, don’t forget the scraps start bright and early here stateside so get your bets in before it’s too late. 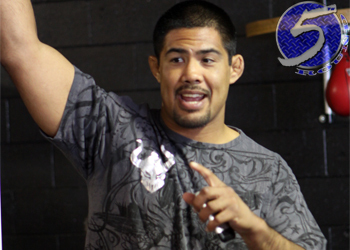 Former light heavyweight champion Lyoto Machida is a significant -375 odds-on favorite to beat Mark Munoz (pictured) in his UFC middleweight debut. Munoz, meanwhile, checks in as nearly a 3-1 underdog against his buddy. Manchester Arena in Manchester, England hosts Saturday’s fights. Fox Sports 2 broadcasts the main card live starting at 3PM ET/Noon PT.